Zach Heaton is a Kodak Professional, Op/TechUSA Ambassador, CokinUSA Ambassador, award winning, internationally published, full time professional film photographer based in Pennsylvania. He is renowned for a smooth, vivid and extroverted style that is filled with sensuality, fantasy, and adventure. Zach is able to capture the essence of a moment, which includes the smallest details. Making you feel as if you were standing beside him when he captured the image. While on a trip to the Grand Tetons, Zach's passion for photography was sparked and he took the next steps to further his photography career. After spending several years learning from a Master of Light (Ed Heaton), he has become versed in many forms of photography including DSLR, and exploring the depths of analog photography. Photographing with different mediums has become second nature to him, and you will often see Zach with a film camera not far from reach. A respect for family treasures and mixing old with new, Zach has built a fully operational dark room for film development. 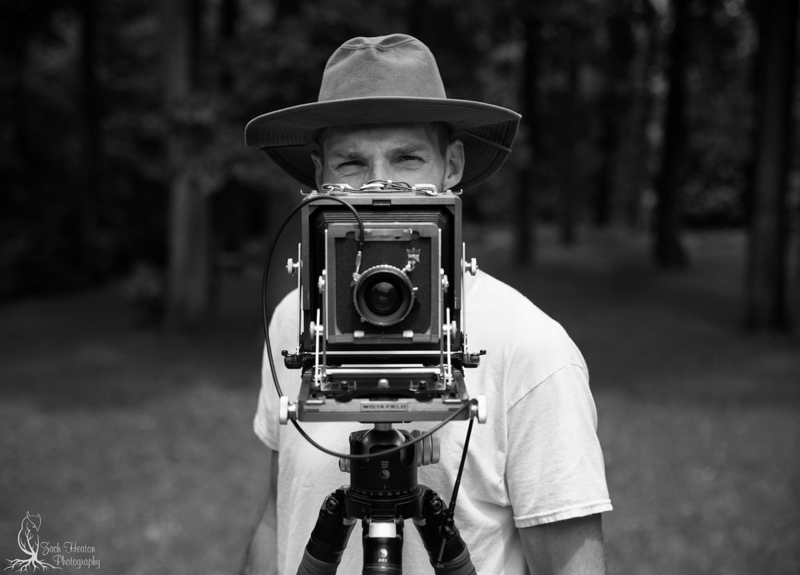 He is self taught in developing, scanning and printing black & white as well as color film. As a workshop facilitator, Zach believes that “knowledge is a gift to share, it’s not meant to be hidden away”. One of the things that Zach enjoys about being an instructor is seeing a student have personal success. That moment in a students eye, when they get “the shot” or understand a concept. It's a very rewarding feeling, and that’s why he continues his own education, so that he can share with his students. Being an instructor has provided him with the opportunity to inspire the next wave of photographers to not only challenge themselves but to also develop their skills. As a student, you are given plenty of personal attention to ensure your goals are met. Zach helps his students to establish a solid foundation of knowledge with photography principles, allowing them to walk away feeling empowered and confident using the new skills on their own.